This sensational new red clone of Phal. 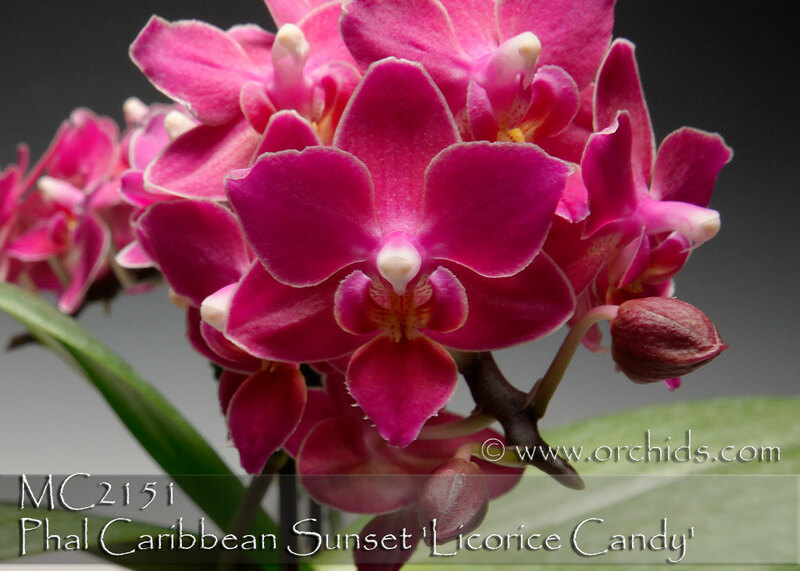 Caribbean Sunset produces a multi-floral miniature fragrant bouquet of red ! Thanks to its Phal. Mambo pollen parent, its sweet honey fragrance enhances this particular clone. 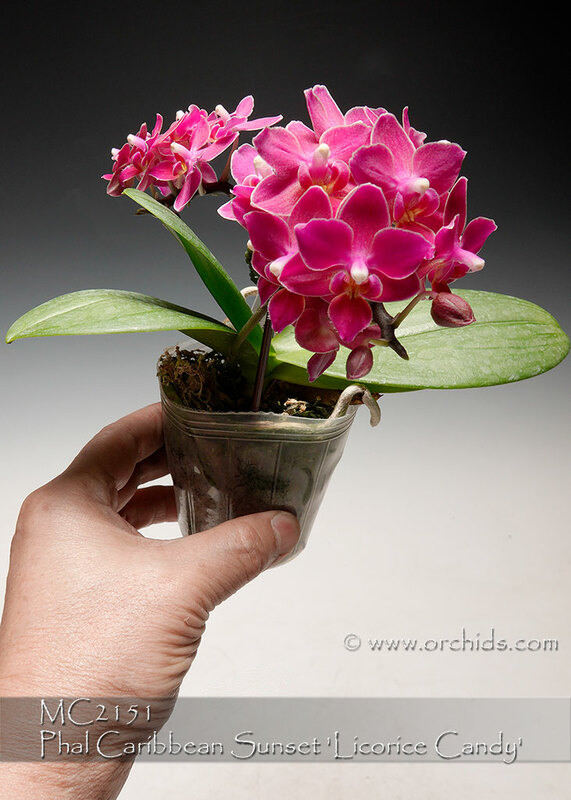 Plus, its non-fading red flowers carry the multi-spiking miniature habit of its pod parent, Phal. Cassandra. Highly Recommended !